Bonsaii DocShred C156 C-8 Sheet Micro Cut Paper CD Credit Card Shr is currently selling at $52.99, which is its normal price. It has a lowest price of $52.99 and is selling within its usual range. Price volatility is 0.15% (meaning it does not change often), so you might have to wait a while for the price to drop. Until then this is a recommended 'ok deal'. The current deal is also the best price on this item over the last month. 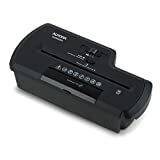 Compare the current price, savings (in dollars & percent) and Buy Ratings for the top Shredders that are closely related to Bonsaii DocShred C156 C-8 Sheet Micro Cut Paper CD Credit Card Shr. Here is how Bonsaii DocShred C156 C-8 Sheet Micro Cut Paper CD Credit Card Shr compares with other leading Shredders. 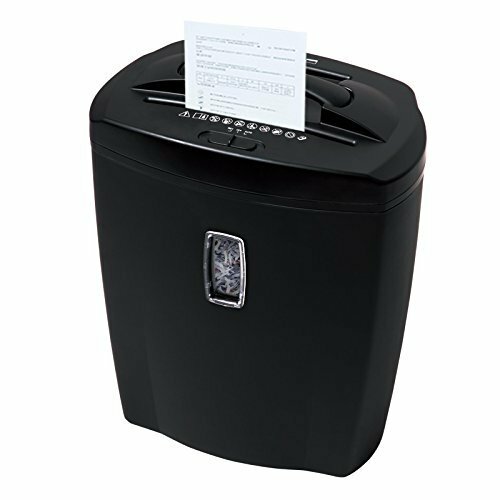 Perfect for Your Home Office The Bonsaii DocShred C156-C simple features make it easy to use and perfect for your home office. It can shred all of your confidential information including paper documents, CDs, DVDs, and credit cards. Have the Security You Want Bonsaii C156-C cuts paper into tiny pieces with high-security protecting. It can shred maximally 8 sheets of paper at a time into 5/32 by 2/5 inches (4x10mm). No Hassle and Easy Operation C156-C micro-cut shredder features convenient handle design for lifting the shredding part more easily to empty the wastebasket when it is full. In auto mode, the shredding begins automatically when the sensor in the middle of the feed slot detects paper inserting. If the shredder is jammed due to shredding exceed paper, manual reverse can help clear it out. Overheating Protection Bonsaii Shredder is equipped with a motor overheating protection device and advanced cooling system. If the unit keeps shredding over its maximum 3-minutes running time and become overheated, it will shut off automatically for cooling down 30-40 minutes to protect the motor .After the shredder cool down ,it will restart automatically in the Auto mode ,so please do not pull out half implant paper violently. Guarantee of repair Please contact us if you have any problem on using this shredder ,we guarantee of repair of this unit in 12 months from the date of first purchase ,but should provided that the machine has been used appropriately.. NOTE: A few pieces of shredded paper may be found inside the shredder blades or the waste basket due to the full shredding test in the process of manufacturing to ensure quality. If you are not satisfied, please contact customer service for further assistance.Use tips: After each time you use ,switch serveral times between Auto and REV mode to clear out all jam or pieces in the cutter .Besides ,we recommend using lubricant sheets after 2 times per month or after 30-minutes shredding cycle to maintain shredder maximum performance. FeaturesMicro-cut paper shredder with 8 sheets (A4 size 75g/m 2) shredding capacity; Kindly remind: it had better make thick junk mail or some kind similar materials into a split before you shred them to protect the shredder keeping well performance.Shreds paper into small particles measuring 5/32 by 2/5 inches (4x10mm);shreds credit card, CD/DVD, clips, staples as well. 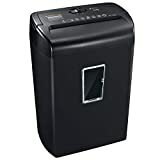 (CD/DVD shreds in a separate slot)Auto start and manual reverse to clear paper jams; Thermal protection system to protect motor from overheating5.5 gallons wastebasket capacity for less frequent emptying; Basket window to see when it is full.